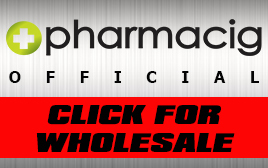 pharmacig™ is a company formed by pharmacists and chemical engineers. We firmly believe electronic cigarettes are much more successful than nicotine patches, nicotine gum, pills and other methods. Our convictions and combined expertise allows us to deliver very effective electronic cigarette products that are geared towards treating tobacco and nicotine addiction. Our products are safe, highly affordable and made with quality materials and workmanship. As pharmacig™ we manufacture a wide range of vaping products, from electronic cigarettes to e-liquids. 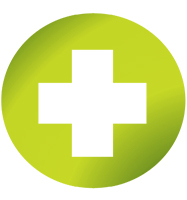 We continually update our products that strictly focus on treating tobacco and nicotine addiction. Every pharmacig™ product is subjected to rigorous quality control checks to ensure safety and quality. Our e liquids are ISO 9001 certified for ingredients, manufacturing and packaging. With truly affordable vaping hardware and liquids, pharmacig™ is the right choice for treating tobacco and nicotine addiction. To view our products, please click here. Interested in doing business together? Please click here. With the pharmacig™ brand, both you and your customers benefit from a very profitable partnership. We manufacture the full range of vaping necessities - electronic cigarettes, e-liquids, coils and more. As pharmacig™ we offer high turnaround products that sell very fast in the continually expanding, global vaping market. If you believe you can sell our products through your channels, we want to hear from you. Vaping companies, website and social media account owners, influencers - we work with all professionals. We offer great wholesale opportunities. We are also open to feasible business ideas that provide mutual growth. Let us know what you’re thinking and we can explore options beneficial for everyone. Join us for a fair, honest, and mutually profitable partnership.